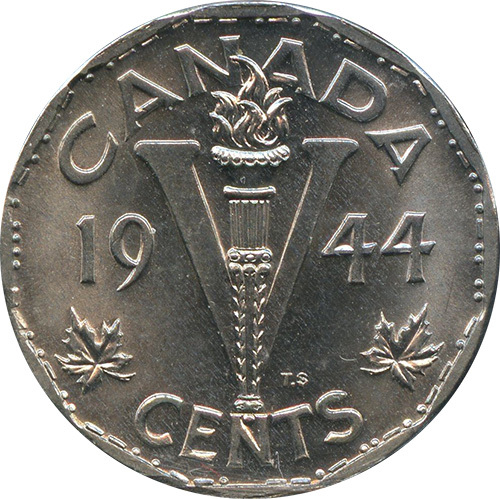 As this was the end of World War II and the demand for copper and zinc was high, 5 cents coins of 1944 and 1945 were produced in steel coated with nickel and chrome plated. 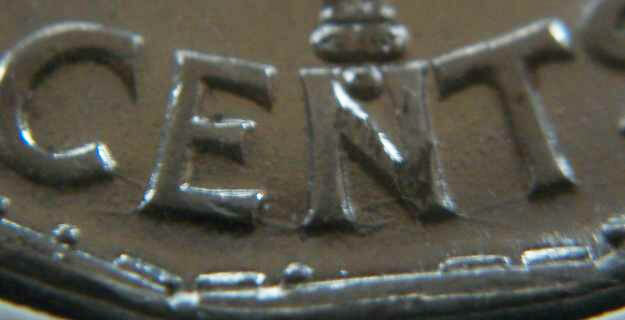 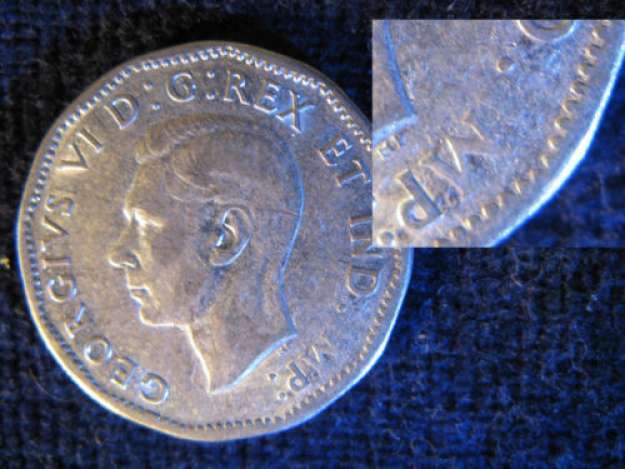 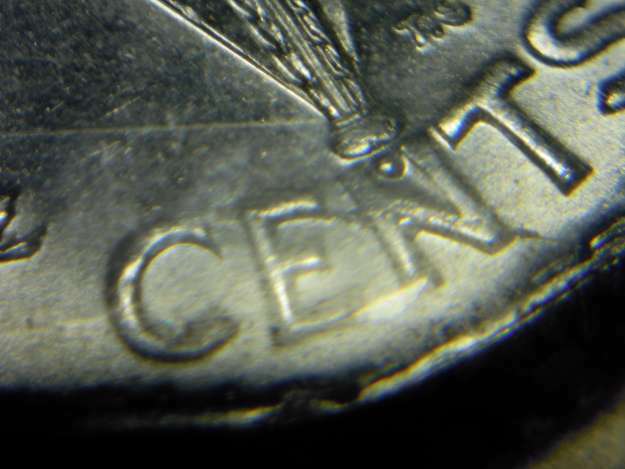 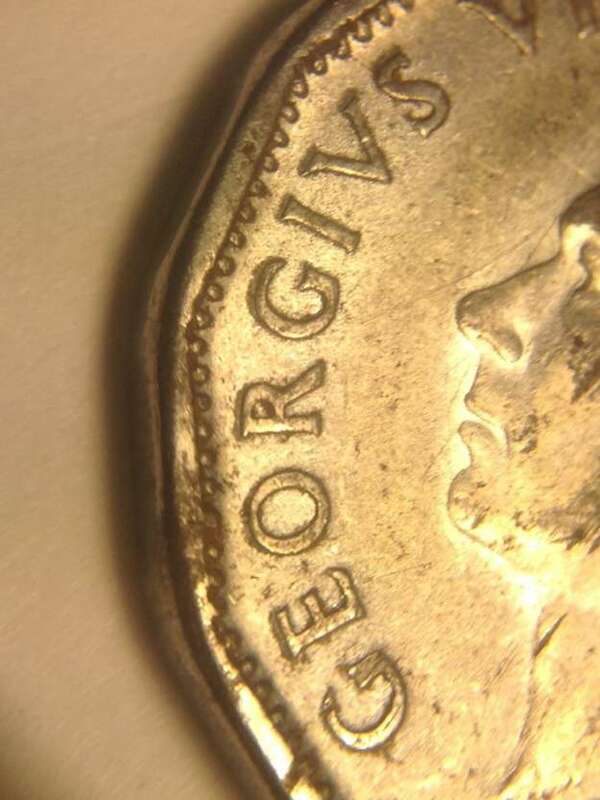 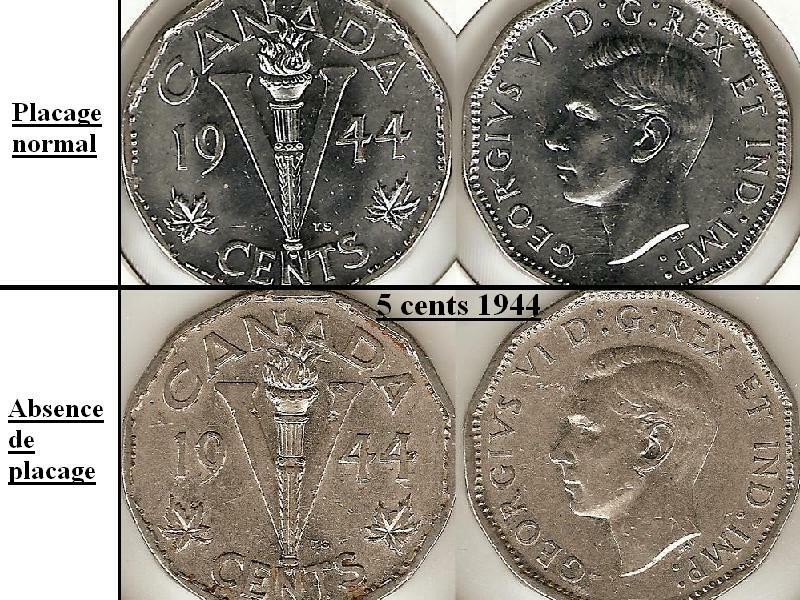 Only a small amount of 5 cents coins of 1944 and 1945 were not chrome plated. 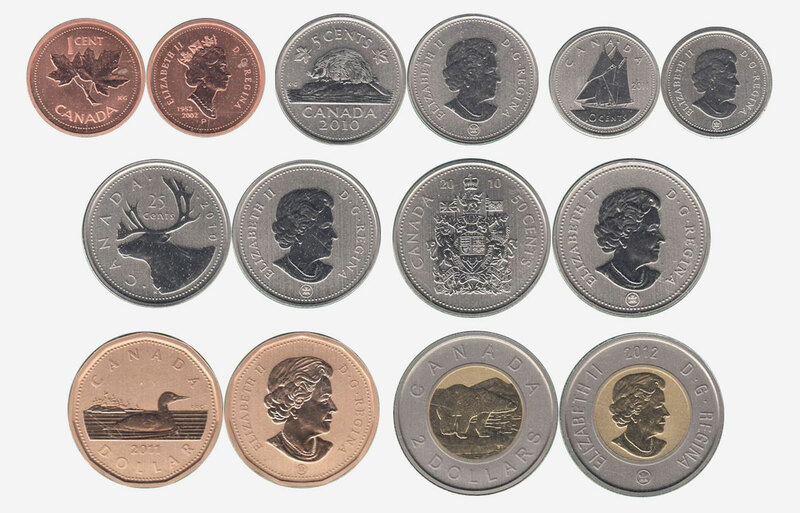 These coins are differentiated by their duller appearance. 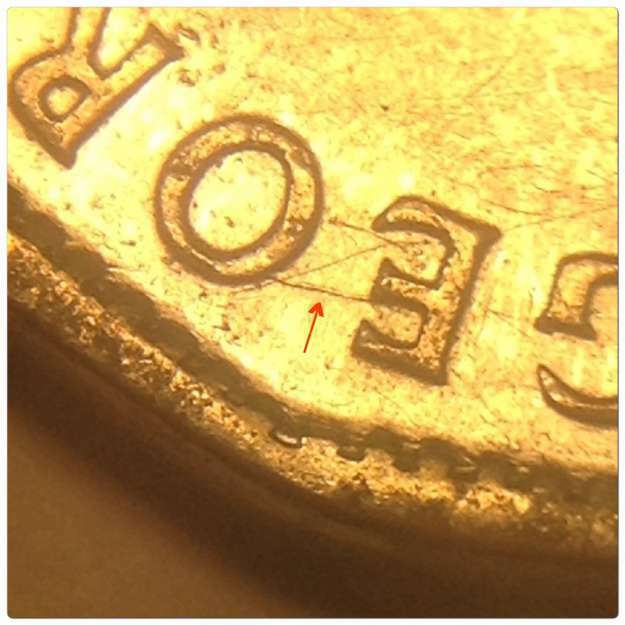 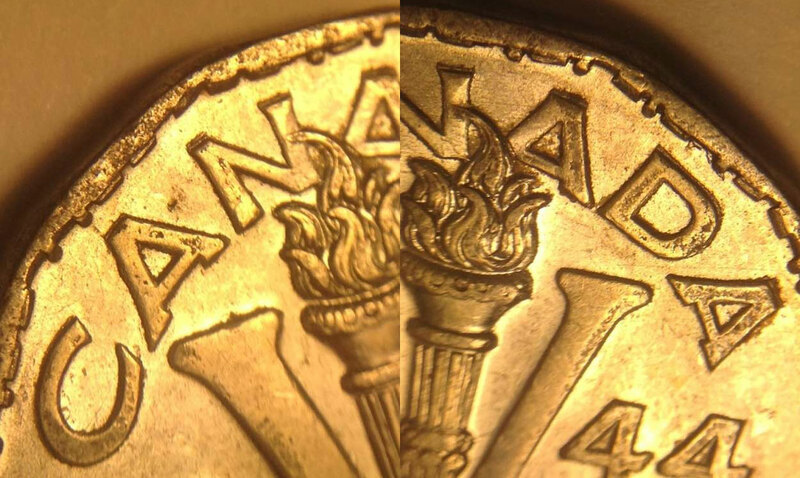 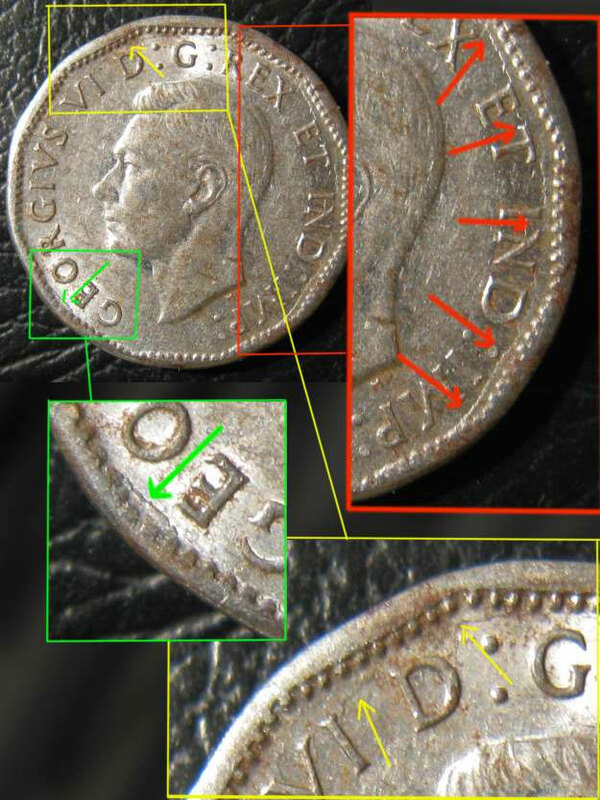 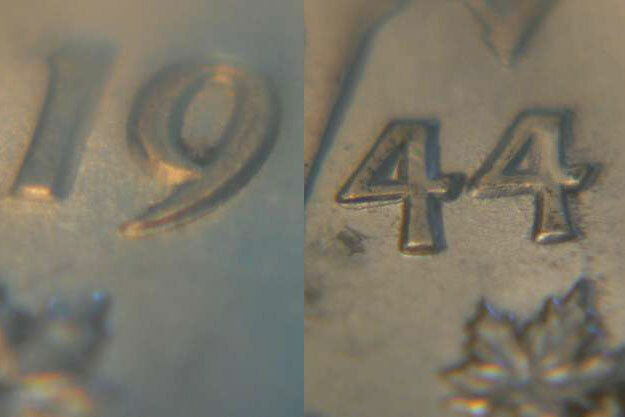 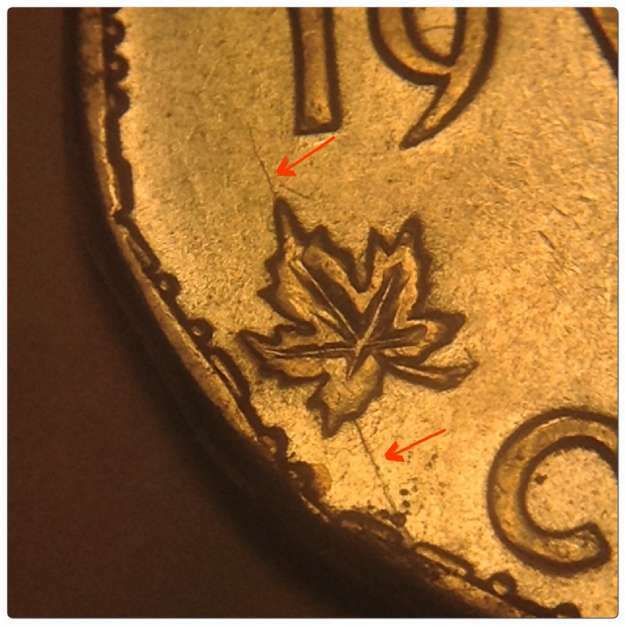 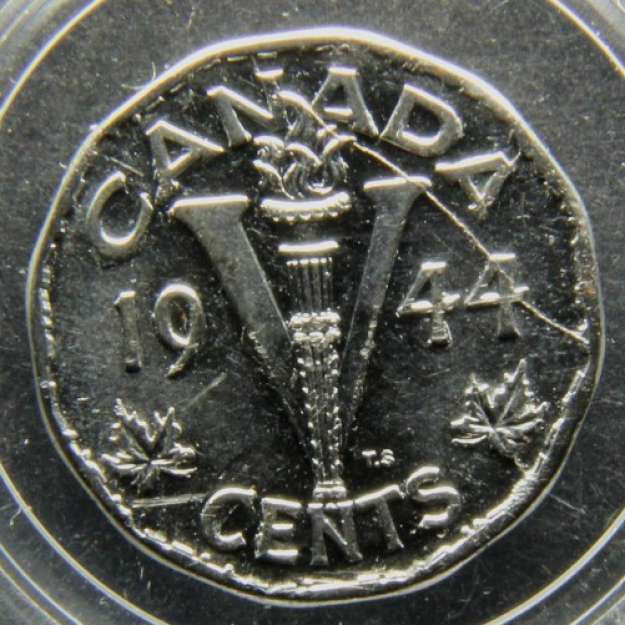 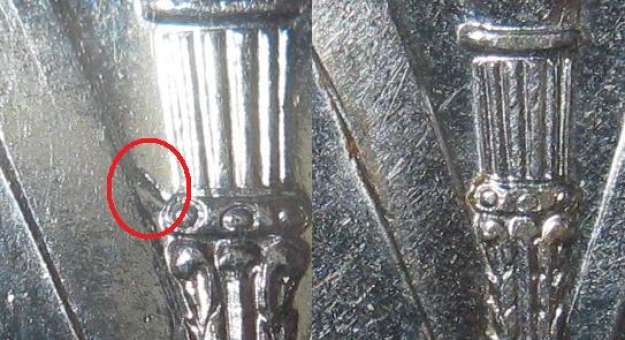 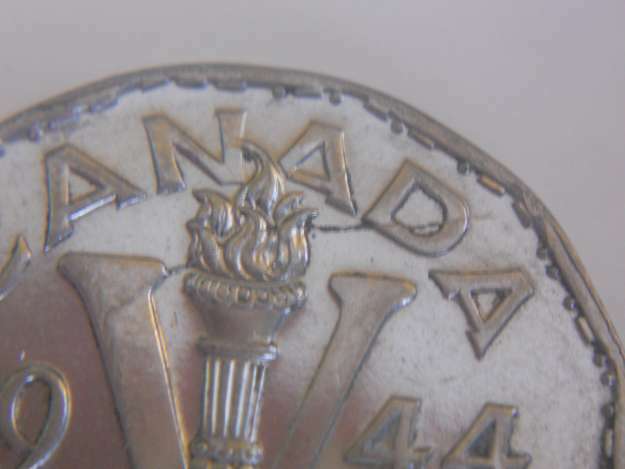 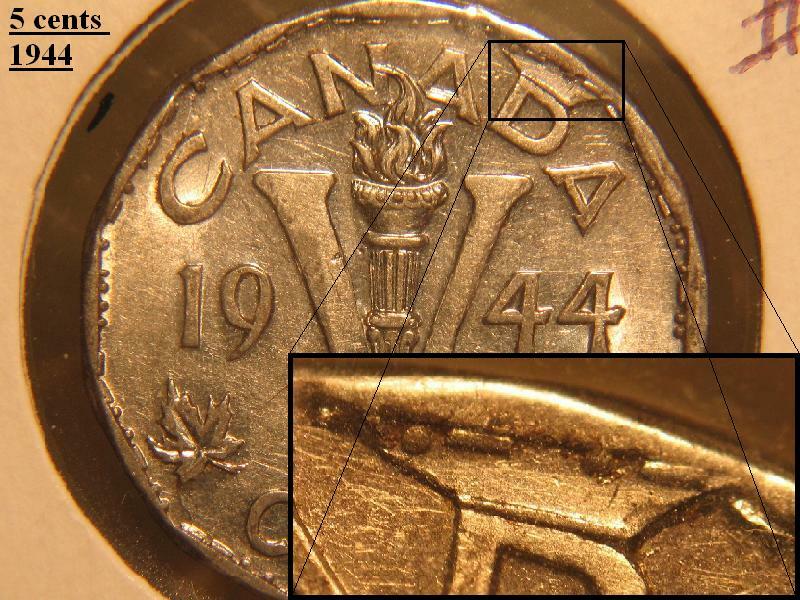 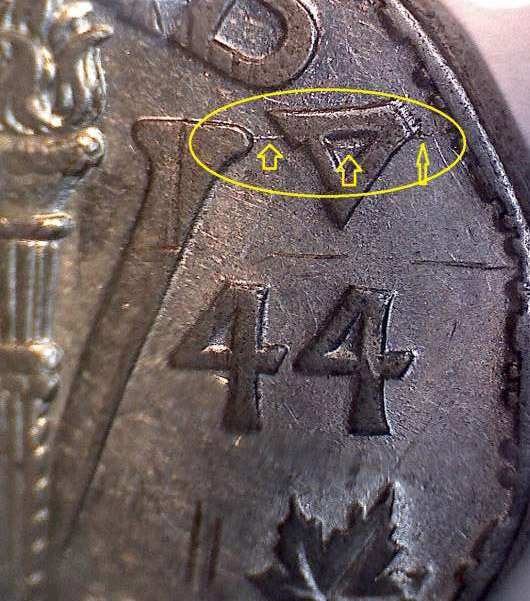 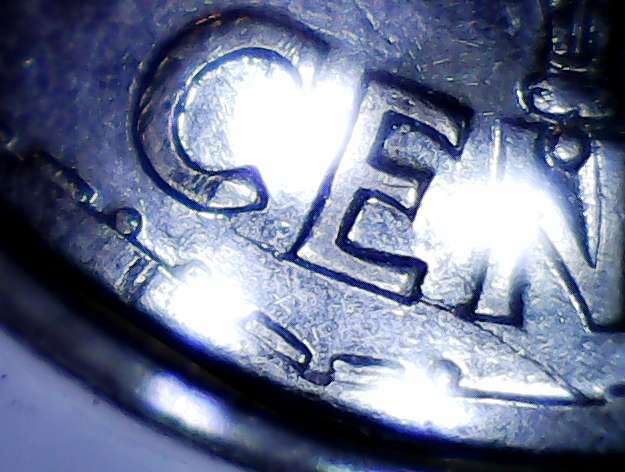 The Royal Canadian Mint also suggest that 8 000 5 cents 1944 tombac coins were produced. 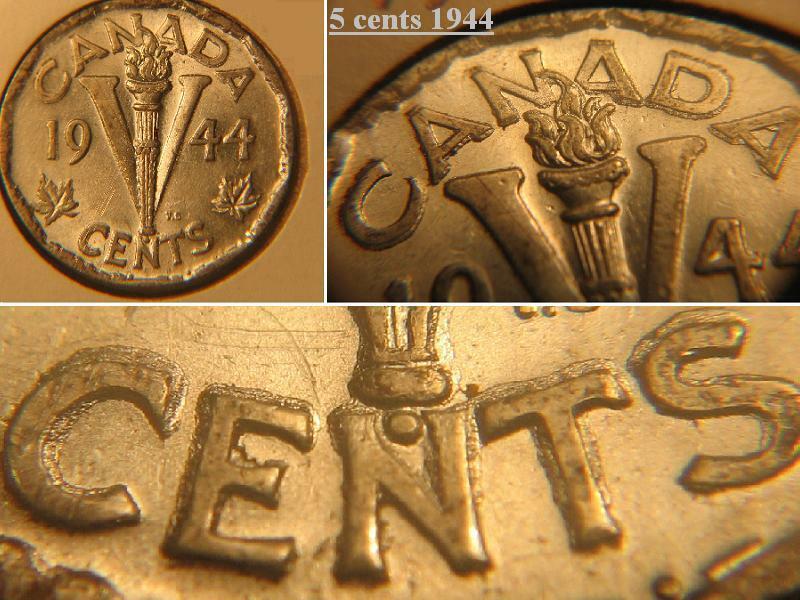 Of these, only one is known to date.